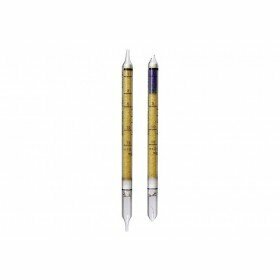 These short-term detection tubes from Drager are suitable for measuring water vapour (3/a). They have a measurement range of 3 to 60 lbs/MMcF. Drager Safety short-term gas detection tubes are known worldwide for their reliability. They are a cost-effective way of measuring a massive range of gases and require the use of the Accuro Pump or the X-act 5000 to do so. Please note the tubes have a shelf life of 2 years and come in a pack of 10 tubes.